The source of Jassart’s fear comes into view on Chapter 7 Page 23. 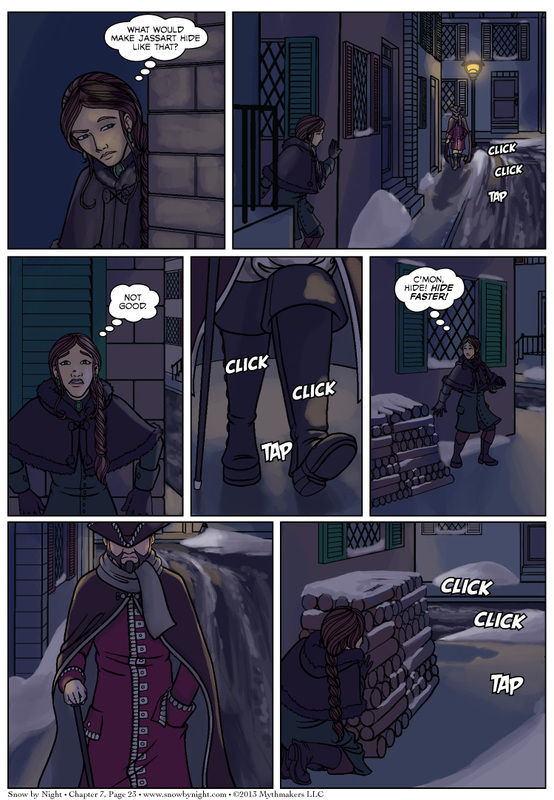 And now Mathilde has to hide as the ominous footsteps grow closer. To see a preview of the next page and the identity of the sinister stranger, please vote for Snow by Night on Top Web Comics. Poor Cienan. No one wants to stop and say hello.